Danielle is the best! We would not be in our home if it wasn't for her guidance and expertise. First, she sat down with us to explain the whole process and what to be prepared for as first time home buyers. Then she was with us every step of the way...super responsive, honest, positive, helpful and a true local expert. When we finally found "the house," that's when Danielle really shined! She guided us through a multiple offer situation that I KNOW only went our way because of her advice. Her attention to detail and sense of urgency really made all the difference. She worked her tail off for us and we couldn't be happier!!! Thank you, Danielle! Danielle assisted us in finding a home as I was being transferred to Charlotte, NC. As we were new to the area, we relied on Danielle to show us areas and homes that matched our wish list. My wife was so impressed with the selection of homes that Danielle provided it made the buying experience enjoyable. I have purchased many homes and never received the quality of service that our realtor provided. Danielle was fantastic to work with and made this process so easy for me. I got a promotion that required my family and I to move immediately. This meant listing our Charlotte home after we’d already moved. Given that I had a new job to tackle, I was nervous about having the stress of selling a house on my plate as well. Danielle made it easy. She was always prepared when we talked- clearly laying out options, giving me pros and cons, and able to answer my follow up questions. The entire process from listing to closing took just under 6 weeks thanks to Danielle’s commitment and coordination efforts. I can’t imagine having gotten through this process without her- she kept selling my home a priority even when I could not. If you want someone who will care about your buying/selling needs as much as you do- Danielle is the right person for the job! We bought a house in Matthews from California and never saw it until we moved here after closing. Danielle took care of every detail and was on top of every inspection, survey, out of state paperwork, etc. She listened to our needs, went to our choices and filmed the house, yard, and the neighborhood so we had a feel for the area. She really made it seamless, and worked so hard to make it happen. Providing recommendations for service professionals was also a big help. We love our house, our beautiful wooded lot, and Danielle. We can still call her for anything. We would highly recommend her services. You will not be disappointed. Danielle was great to work with. We found our dream home while out of state at a family wedding. In addition to that, we are relocating from Chicago. As challenging as that all sounds, Danielle's expertise, dedication and attention to details worked to our advantage to make sure our bid stood out from the crowd. She is also very helpful with an assortment of much needed Charlotte recommendations. You couldn't ask for a better realtor! Danielle is a fabulous agent. She was with us every step of the way, all the way to closing and beyond. We were on a tight schedule and she patiently worked with us through all the stages of the process to a successful closing right on schedule. Aside from her professional dedication, she is also an exceptionally nice person. Thanks, Danielle! Danielle was extremely helpful in finding our home and submitting the winning offer. Buyer received 5 offers the day the house went on the market and the only reason we won is that we listened to Danielle. Highly recommend her if you’re buying a house. Danielle is a true professional who possesses all the qualities you want when making one of the biggest emotional decisions of your life. She always had our best interest in mind and found meaningful solutions to any issue along the way. Her experience within the industry and Greater Charlotte market made selling and buying a home simple. Danielle gets to know her clients quickly and intuitively knows what style of home and areas best match your needs. Her communication skills are superb! Her follow up and ability to keep you on track throughout the process were amazing. She was always respectful of our time and extremely punctual regardless if it was for an appointment or returning a simple text. We have bought and sold multiple homes over the past 20 years and I can say without a doubt, Danielle is the best realtor we ever used. Before you decide on another realtor I highly recommend you take the time to meet Danielle and let her help you buy or sell your home. You will not be disappointed! 3rd time is the charm! 101 James Drew Ct- Third Realtor in Charlotte hired to sell their unique home. We were a tough case... We had been trying to sell our "unique" home for some time without any serious lookers. We worked at home and were there most of the time so we were tired of showings interrupting our lives. Danielle was recommended to us by a friend as a savvy internet marketer who had helped their neighbor. We called her in and were taken with her easy manner and engaging ways. Danielle was amazing as she put up with us and cajoled us into doing what we had to do to get a sale. It took a while, but the market improved and Danielle worked hard for us. We wound up receiving two offers on the same day. As we went from one offer and then, because of difficulties with that buyer, the other, Danielle stayed on top of the negotiations and got us to "yes". We would recommend Danielle without reservation as a motivated and capable realtor. We would certainly work with her again, given the opportunity to do so. We made the absolute right choice in selecting Danielle Edwards to sell our South Park home! For many months we received her professional postcards in the mail. When we decided to list our home, we chose to interview her along with two other Charlotte Realtors that we had no personal ties to. It was important to us that we chose an agent for their abilities, not a personal friend or recommendation. Danielle won our business because of her passion real estate and thorough knowledge of the Charlotte area market. Her personal attention, professionalism, and communication of what buyers expect in our price range were key in getting our home sold quickly. Only 3 DAYS on market!!!! Even though we chose Danielle to list our home based on her professional abilities, she’s made us feel like family and that we were her only client. This has been the best real estate experience we have ever had! Danielle made all of the right suggestions as to how to best prepare our house for sale. She peaked the interest of buyers and the day our house " went on the market ", we had ten offers, nine of which were above the asking price. With Danielle's guidance, we were able to get a higher price for our house than any other in the neighborhood sold for. Danielle is nothing short of AWESOME. We met Danielle early on in our efforts to find a Condo for purchase. She was very responsive in organizing showings for any listing that we were interested in seeing, including accommodating our schedules during non-business hours over the weekend and on holidays. We always felt like she had our best interest at heart. She always provided good advice but didn't make us feel pressured into doing something we were uncomfortable with. She stayed in touch and kept us informed during the offer/closing process and ultimately helped us secure the Condo in the location we wanted. We highly recommend her to other home buyers looking for a buyers agent in Charlotte. Danielle Edwards is by far the best Realtor I have ever had the pleasure to work with. I met Danielle in January of 2016. We discussed what attributes I was looking for in my dream home, one of which was a pool. Not many options in January, but she promised to email me homes as they became available. She didn't waste my time showing me properties that did not fit my criteria. In May, she sent me a listing that fit exactly what I was looking for. 2 hours later we are looking at the house, and I knew this was my new home. We wrote up the offer and that is when the magic started. 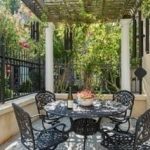 She was proficient in working with the seller, had scheduled the inspections, including the pool, for the next day. She has created a network of professionals for anything you may need. Her detailed nature allowed me to have 0 stress, since I knew she was on top of everything that needed to happen to close. I have never met someone as passionate and professional as I have with Danielle. She doesn't just write the contracts, she orchestrates all of the details, keeping me informed, and makes sure that everything is moving along. 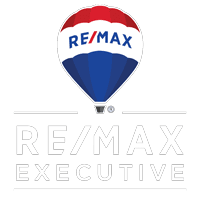 If you want someone who works with you after the signing of the contract, call Danielle Edwards at REMAX EXECUTIVE, you won't be disappointed! Danielle Edwards of Remax Executive of Ballantyne is above amazing! After she found my dream home, it was time to sell the home that I have lived in for over 15 years. She guided me as to what the current buyers were looking for in a new home. From picking out the paint color, meeting me at Lowes to pick out bathroom fixtures, taking me to a lighting store to pick out light fixtures and even what door knobs to buy! I have not heard of any other realtor to go the extra miles as she did. Danielle was diligent in keeping me on track and under budget. She had an enormous data base of professionals at my disposal, which made it much easier on me. She had an open house and I had 7 offers in less than 24 hours. The best news is that it went $17,000 over asking price! She is not a "list it and leave it" kind of agent. She is there every step of the way making sure that you get the most out of your home without a ton of stress. I have never worked with anyone as passionate, detailed oriented or driven as Danielle. I am writing this testimonial to give Danielle Edwards my highest recommendation. Danielle possesses all the skills, passion, drive and attributes necessary to be an excellent Realtor. I have known Danielle for over 10 years, when it came time to sell our home we knew, based our prior experiences as our Charlotte Realtor and Remax agent of buying and selling homes, she was the only choice to be our Realtor. We did not have to think twice of who would be representing our interests. Danielle knows her market extremely well, she is both very professional and personable. She makes you and your property her priority, she takes pride in doing an excellent job. Danielle is without question, the most consciousness, courteous and professional real estate agent I have ever worked with. Danielle did a phenomenal job of listing our property, helping us prepare for the sale and utilizing all the current tools available to Realtors to sell a property. Danielle is a true professional in every sense of the word, and puts her clients interests far above her own, she gets things done and that is a key part of the process as it takes a combination of knowledge and drive. Our house was sold within 4 days of listing, I could not be happier and would like to thank her for helping us sell our house in Lake Norman. Danielle is a superior partner; she will not help you just find a house; she finds homes. Extremely knowledgeable of the process and the communities - she gets to know your wants, needs and dreams which leads to spectacular outcomes. Danielle is an excellent real estate agent. We met Danielle by chance but we believe things happen for a reason! Danielle has a tremendous network of helpful professionals, from lenders, to contractors, to staging, to movers, to insurance agents, her team is remarkable. She knows the market and she does her homework. Moving is hard work, Danielle made it so much more enjoyable. Listen to her, let her keep you motivated, and she WILL sell your house. From listing to offer...2 weeks! Oh and we gained a friend as well as a real estate agent. Thanks Danielle! She is a professional and very passionate realtor, and knows and has so many resources and gives very good advice you can't ignore, which ultimately helps you purchase your dream house!! We have learned a lot from her during the whole process of researching and buying a home. We really do love our new home and enjoy a lot, thanks to Danielle!! I highly recommend her to anyone who wants to buy their dream house in Charlotte!!! Danielle was the most knowledgeable and professional Realtor I have ever worked with. We had been looking for our dream house for over three years. Danielle found it in less than a month, guided us on the offer, organized five different inspections in less than a week and made buying our dream home as easy as it could have possibly been. The only word that even comes close to describing her s AWESOME !!!!!!! I contacted Danielle for one reason: performance. She had just sold a home in my development in record time. She sold my home in five weeks and found me another one that met my exact specifications, including location and price. It is hard to describe Danielle in a few words. You’d have to work with her to know how good she is. It is not only that she does her homework and was able to tell me what I needed todo to sell my house at a desirable price. Or that she recommended top-notch people to make minor repairs and upgrades. And I’m not saying she can work miracles—only that she will do all that is possible. She never takes her eye off the ball. She is dedicated, diligent, dogged, yes, driven, and tenacious. What’s more, she loves doing what she does and working with her is actually fun! GO GETTER- GOT IT SOLD! Our Realtor Danielle Edwards provided great advice, service and quick responses to our questions. She was very active in showing the house and held Open Houses each Saturday until an offer was received. If you are looking for a real go getter she is the one to have on your team. Realtor, Danielle Edwards helped Lisa and I find a home in record time. We had a narrow window and Danielle came through with flying colors. Not only was she pivotal in guiding us to the neighborhoods of our liking but she also made herself available at a moments notice to schedule home visits and address questions from our side. Above all, Danielle's uplifting spirit, positive attitude and wonderful smile was sincerely appreciated, especially during the final negotiations and closing. We have made a life-long friend in Charlotte. Thanks Danielle! Danielle was such a perfect fit for us in our search for a home in Charlotte. She gave us her undivided attention, was enthusiastic, and supportive throughout the entire process. Danielle had a genuine interest in who we were and highlighted certain neighborhoods that "fit"! She has been a great resource as we continue to settle into our new home. I would highly recommend Danielle for selling or buying a home. Danielle is a "Rock Star" - she quickly understood our needs and matched us up with only properties that fit our needs 100%. Her ability to guide us through the entire process, including referrals to quality movers, local area knowedge, and negotiating the terms of our contract was nothing less than spectacular. One of the things that impressed us the most, beyond her attention to detail, was that fact that she stayed in touch with us providing constant updates all the way through our move in date. I would highly recommend working with Danielle Edwards as your Realtor, Charlotte, NC. I was referred to Danielle by a dear friend of mine who knew that I made the decision to sell my house that I have resided in for over 25 years. She told me that if anyone could get the job done expeditiously", it was Danielle Edwards! She was right ! Not only did she price is properly, but she marketed it with finesse and the house sold only in 2 weeks after it was listed.. quite impressive! I would highly recommend Danielle Edwards to anyone who needs their house or business property sold in Charlotte .. She is a "Class Act"
Danielle is a great Realtor! She is one of the hardest working people I have ever met. She truly loves and enjoys her job. She made us feel like her only clients. She always answered our phone calls and replied within minutes to our emails. Choose Danielle for your Charlotte Realtor. No one else will work as hard for you. Danielle has assisted us in multiple real estate transactions in the last several years. She always gives 110%, going above and beyond to provide excellent service and ensure a smooth transaction. She is knowledgable and professional. Never leaves you hanging wondering what's going on...Keeps in touch and keeps client aware and updated. She is an excellent choice when seeking a real estate professional in Charlotte. Under the Gun, Got it done! My home was under contract so I had to find a house in North Carolina fast! I looked in Raleigh first, but no dice. So on to Charlotte, where I had looked before, but I could not get in touch with the realtor I had used before. I called Remax for an agent in Charlotte and Danielle called me back in under an hour. She showed me multiple homes and I found one that I have been very pleased with. Danielle Edwards is the best! I was referred to Danielle by the realtor that assisted my wife and I in selling our home on the west coast. I had a targeted location in uptown Charlotte and Danielle showed me properties beginning in December 2013, covered all possibilities beyond standard listings including a short sale, a foreclosure, and a couple FSBO's. The morning the ideal property came on the market and priced right my wife and I knew we would make a offer even before visiting it. Danielle started to prepare the offer documents before we could get into the property. Within a hour of visiting the property all documents for our offer were submitted and our offer was accepted on Day 1 on the market, over multiple other offers. I could not be more pleased with Danielle's proactive work ethic and consistent readiness to go the extra mile. What is also really important is that throughout the four months of looking and near deals Danielle always wanted to make sure my wife and I were going to get the right property, versus just a property so she would get her commission and move on to the next potential commission. Danielle lives up to her slogan "Driven Danielle" Thanks Danielle. Danielle helped me find a perfect apartment to rent after moving to NC from VA last summer. She was so thorough in getting me the best information on the various areas, I rented soley because of my trust in her. Danielle is wonderful! I highly recommend her for a Charlotte Realtor. 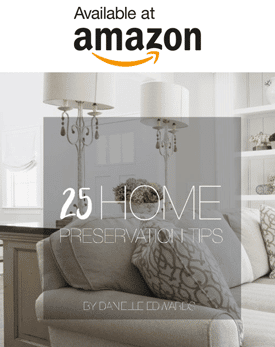 Danielle Edwards listened to every detail that my family and I were looking for in a home and neighborhood. She worked over and beyond to meet our expectations. As a first time buyer, in a new state, Danielle made the process very simple and was patient enough to explain everything that was happening as the process went along. She returned all my calls and made me feel and showed that he had my best interest at the forefront of the entire purchasing process. Danielle was wonderful. We moved from Ohio to NC in the heat of the market (2007). Houses sold before you could even tour them so Danielle had to help me "see" houses remotely. Detail-oriented. Patient. Highly recommend her. Danielle was a tremendous help during my home search, going well above and beyond what I expected. Her professionalism, attention to detail and forward-thinking perspective helped me find a wonderful new home in Charlotte. Danielle was really instrumental in helping us find our new home in Fort Mill, SC. We had a fair idea of the area where we wanted the home, but she gave us more options and that definitely helped us to stick to our budget. She is a wonderful person -super friendly, understanding and easy to work with. Thank you Danielle! My husband and I have owned our own home for many years. When it came time to purchase our retirement home we knew Danielle would make the whole process as easy as she possibly could. Danielle took the time to know what we were looking for so when we found our home she was always one step ahead. She is driven, very knowledgeable and easy to work with! If you want a realtor that keeps your best interest in mind, gets the job done and makes you feel like family...Danielle is the professional for you!